Being involved in a car accident is stressful for both parties, no matter how severe the damage to your vehicle or injuries to your loved ones. What makes this trauma even more difficult is when the other party is underinsured or carries no vehicle insurance at all. You’re now stuck with the brunt of your medical and repair bills. Don’t assume that you’re safe and everyone else is as responsible a driver as you are. 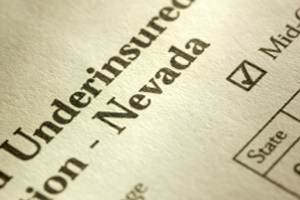 Ask your insurance carrier about uninsured/underinsured coverage for your policy. According to the Insurance Research Council, approximately 25% of drivers in every state, even those that require insurance by law, are completely uninsured. Even drivers who carry insurance don’t always have adequate liability coverage. This is when purchasing uninsured/underinsured motorist coverage can be a lifesaver for your sanity and your wallet. A person who doesn’t carry vehicle insurance at all. A person who carries insurance but doesn’t meet your state’s minimum insurance liability requirements. A person who carries insurance, but the insurance company isn’t financially able to pay the claim or denies your claim altogether. If you’re struck by a driver who doesn’t carry an insurance policy, your medical bills and lost wages are covered by your underinsured/uninsured motorist policy. This type of policy is critical, especially if you’re not currently carrying medical insurance, or if your medical insurance doesn’t cover lost wages. In this case, your uninsured motorist policy fills-in the gap left by inadequate or lack of medical insurance. Here is another example of how an uninsured motorist policy will benefit you in the case of a hit-and-run. Imagine that you’re walking across the street in the crosswalk, and a motorist hits you and flees the scene of the crime. Fortunately, you carry a vehicle insurance policy complete with uninsured motorist protection worth $150,000. You now have access to this $150,000 from your own insurance company to cover medical expenses and lost wages. Remember to contact the police and seek medical help immediately if you are the victim of a hit-and-run accident. An underinsured motorist is someone who meets the minimum financial responsibility but doesn’t carry enough insurance to cover the damage caused to your vehicle, yourself or any other passengers. Underinsured coverage works differently from uninsured coverage. Let’s say that you’re struck by a motorist who is underinsured and carries a maximum limit of $20,000 per person. However, you’ve purchased underinsured motorist protection and carry coverage of $250,000 per person and $400,000 per accident. Your pain and suffering, medical bills and lost wages far exceed the underinsured motorist’s $20,000 coverage maximum. Your policy would then kick in and cover up to $230,000 worth of unpaid medical bills and lost wages. Many states, including New York and Texas, require motorists to carry underinsured/uninsured coverage by law. For instance, the state of New York mandates that vehicle insurance policies provide underinsured/uninsured coverage of at least $25,000 per person and $50,000 per accident. Speak to your insurance agent about your state’s laws and applicable minimums before purchasing underinsured/uninsured motorist coverage. At this point, you might be wondering how to obtain uninsured/underinsured motorist coverage and how much coverage is required to keep you and your family safe. Begin by speaking to your insurance agent about obtaining this coverage, which is generally separate from your regular policy and payable through a small, added monthly fee. Most insurance agents will recommend underinsured/uninsured coverage that matches your existing liability coverage. In other words, if your current policy carries liability coverage of $100,000, your agent might suggest carrying underinsured/uninsured coverage of $100,000 as well. Based on your risk tolerance and accumulated assets, you might require coverage of $200,000, $500,000 or more. Policies and premiums vary by state and insurance company, so speak to your agent about coverage that matches your needs and budget. Here is one last prime example of why underinsured/uninsured motorist coverage is so important. In November 2011, a school bus filled with children was struck when a motorist ran a red light in Austin, Texas. The motorist by law was required to carry an underinsured/uninsured policy with $60,000 in total accident coverage. The multiple victims of this wreck, which was thankfully free of casualties, were forced to split that $60,000 worth of coverage. This translated into a very small sum of money for each injured child after the dust had settled. However, any of the children whose parents carried underinsured/uninsured policies were covered beyond their small share of the motorist’s $60,000 worth of coverage. Don’t take the chance that other drivers on the road carry sufficient vehicle liability insurance or that they even have insurance at all. Be proactive and speak to your insurance agent about the small monthly premium that’s required to carry underinsured/uninsured motorist coverage. The piece-of-mind and money you’ll save in the long run is well worth it. This post was written and provided by Tommy Riley. Tommy has been in the car insurance business for several years.